But these are one of the quickest baking ideas for apples and they’re amazingly soft and chewy with a perfect cinnamony (my newest, favoritest, fall word) flavor to compliment the apples. 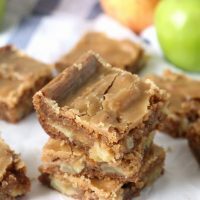 Pecans are also a great addition to these apple blondies, but since Tyler doesn’t care for them, and I don’t care to eat a whole pan myself, I usually leave them out. They are great either way. 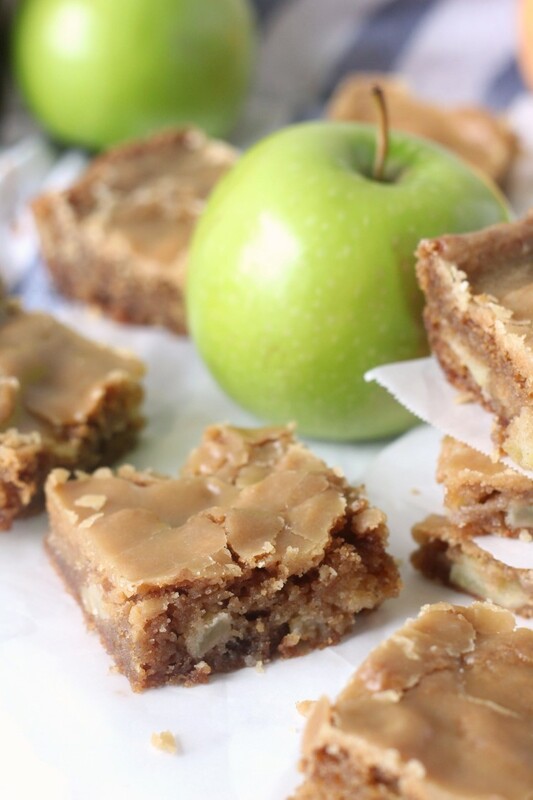 These are simple to make as they have a pretty standard blondie base. It’s extra easy because it starts with melted butter and everything else is simply stirred in from there. Not butter and sugar to cream together. The melted butter makes them extra chewy. Whisk the dry ingredients and then gently stir the dry ingredients into the wet and add the apple and pecans if desired. While they are baking, whip up the brown sugar frosting. You will frost them immediately when they come out of the oven. 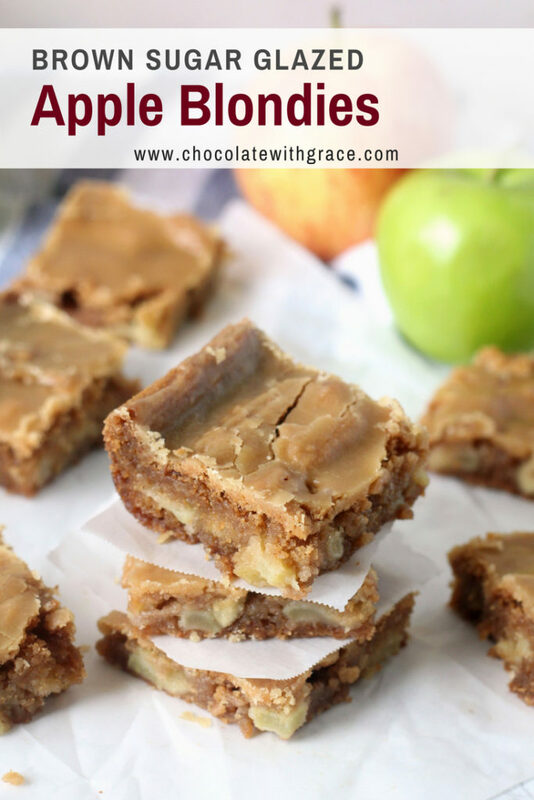 These bars are so good they don’t need the brown sugar frosting at all, but they are prettier with it and it adds an extra layer of flavor and sweetness. 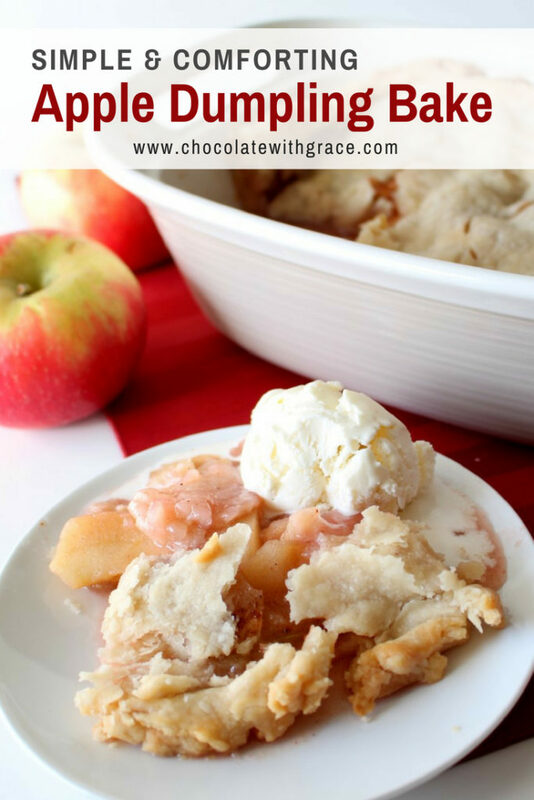 These would be excellent as a dessert to a simple fall meal. 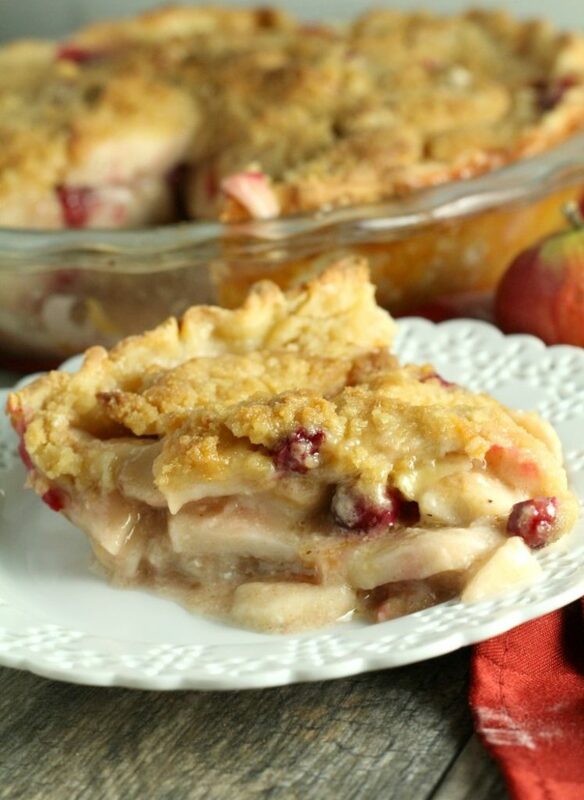 Perhaps a meal of sausage and spaghetti squash casserole or an Apple Cider Roast Chicken. Or they would be great to take to a potluck or snack on in the afternoon. Preheat oven to 350 F. In a large microwave proof bowl, melt butter. Beat in sugar and eggs until fluffy. In a separate bowl, stir together flour, cinnamon, baking soda, and baking powder. Add the dry ingredients to the wet and stir until just combined. Gently fold in apples and pecans, if desired. Pour the batter into a greased 9 x 13 inch pan. Bake for 40 to 50 minutes or until a toothpick inserted comes out clean. While they are baking, make the brown sugar frosting. Melt the butter in a heavy saucepan over medium heat. Add the brown sugar and salt, heat until bubbly and let bubble for about 2 mins. Add the milk and cook for another 30-60 seconds until no longer grainy. Remove the pan from the heat and add the vanilla and powdered sugar. Beat until smooth. Add more milk if necessary to thin it out. Frost the rolls with the warm frosting about 2 minutes after the come out of the oven. Let cool completely before cutting. That is too funny that you had to make several batches just to get the photographs! My husband knows blog food is off limits until it’s been photographed! I guess I need to get out my mean voice. Haha. Thanks for stopping by, Beth. What an awesome idea, Mallory! 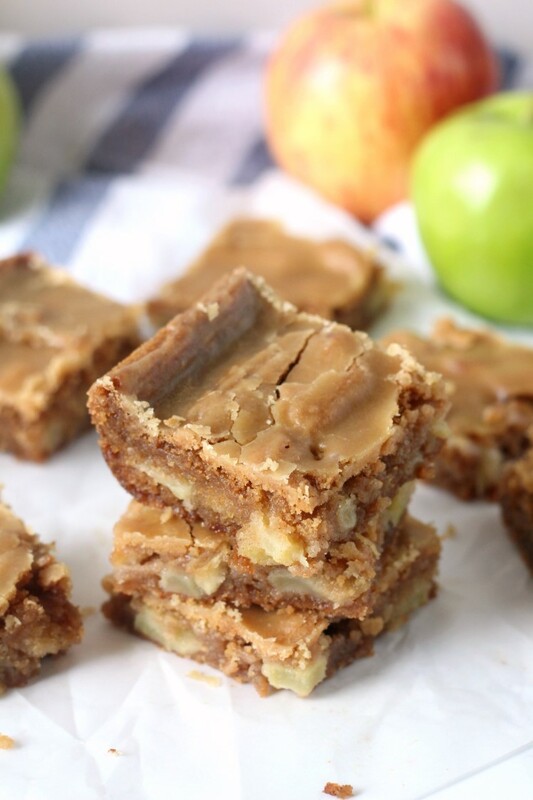 I bet these blondies taste just as good as they sound. 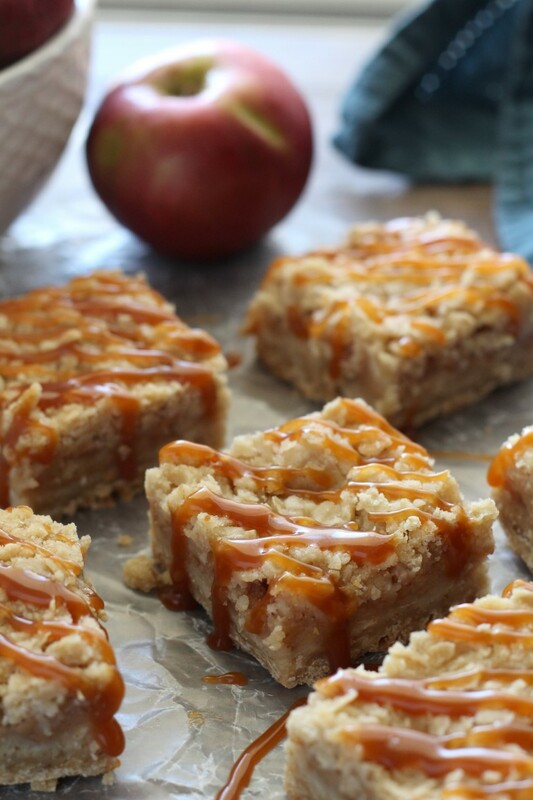 So apple-y and delicious! 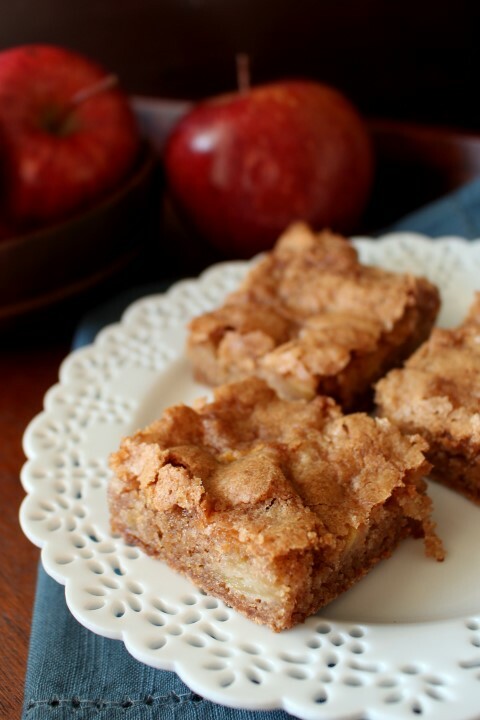 Apple blondies are a favorite around here! Your variation looks great! MMM! Love the chunks of apples! Pinning! These look fabulous! I love that crackly brown-sugary crust on top! I can’t get enough apples this time of year! These look delicious! I should try that. Thanks for stopping by Thao! Thanks, Kelly. They disappear in no time. I see why you had to bake these THREE times!!! they look so good!!! 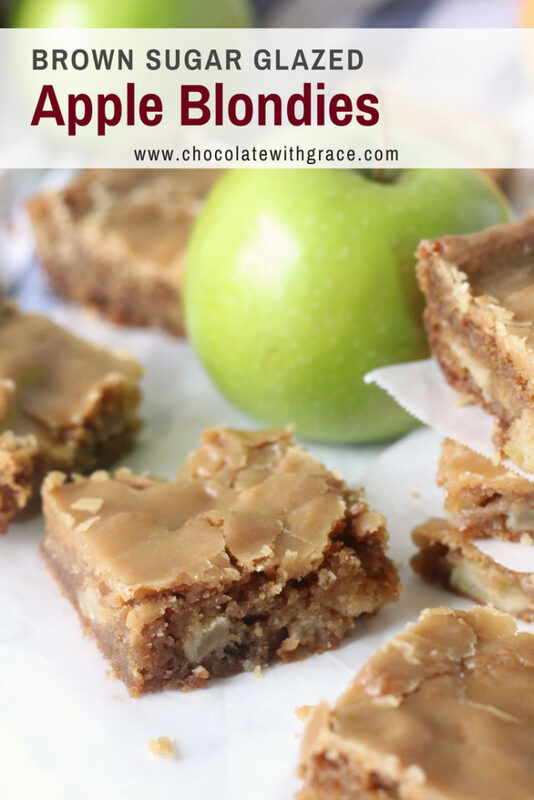 Delicious fall apple flavors in a soft, cinnamon blonde brownie is just what I need!!! love and pinned!! Thanks, Alice. They’re a favorite for good reason! Ah! These look amazing!! Mmmmm! Oh my! These look incredible! I love all the flavors of Fall! I mean for real… could these look any more delicious! I can’t wait to make these! Apple recipes are so good. These look so good, it’s making my mouth water!! These sound amazing! That brown sugar frosting must just put them over the top.